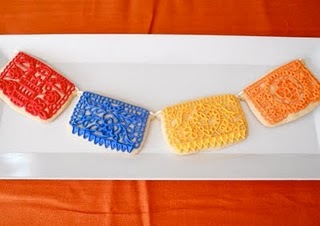 I am sort of madly in love with these papel picado cookies from Oh Sugar Events. 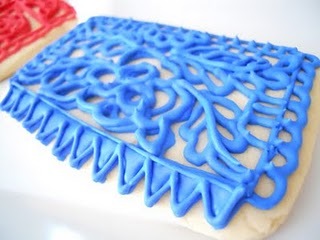 I wonder if I could get away with just random crazy squiggles of frosting? Probably won't have the same effect. 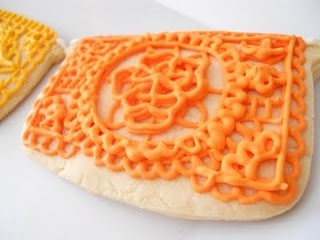 You can check out the rest of their Cinco de Mayo cookies HERE. So cute!! And much to hard for my cookie baking skills. Aw! Thanks Lorie! These are deceptively simple (god bless one color cookies!) Happy Cinco de Mayo!